Walt Disney Pictures has announced the release date of Pixar’s animated adventure Ralph Breaks the Internet. The sequel to 2012’s Wreck-It Ralph follows the title character (voiced by John C. Reilly) and his friend Vanellope von Schweetz (voiced by Sarah Silverman) will be released digitally on February 12, and on physical media two weeks later on February 26. Both versions of the home video release will include a wide range of extras, taking fans behind the scenes at Walt Disney Animation Studios to explore how artists created the film’s vibrant version of the internet — memes, cat videos, and all. The special features will also reveal a few Easter eggs, and filmmakers introduce some never before revealed deleted scenes. The digital version will have an exclusive feature called Baby Drivers – Slaughter Racing School, which showcases the movie’s artists go to race-driving school, whereas the physical version will have two music videos, “Zero” by Imagine Dragons and “In This Place” by Julia Michaels. The film also includes a team up of all the Disney Princesses including Auli‘i Cravalho (Moana), Kristen Bell (Anna in Frozen), Kelly Macdonald (Merida in Brave), Mandy Moore (Rapunzel in Tangled), Anika Noni Rose (Tiana in The Princess and the Frog), Irene Bedard (Pocahontas), Linda Larkin (Jasmine in Aladdin), Paige O’Hara (Belle in Beauty and the Beast) and Jodi Benson (Ariel in The Little Mermaid). 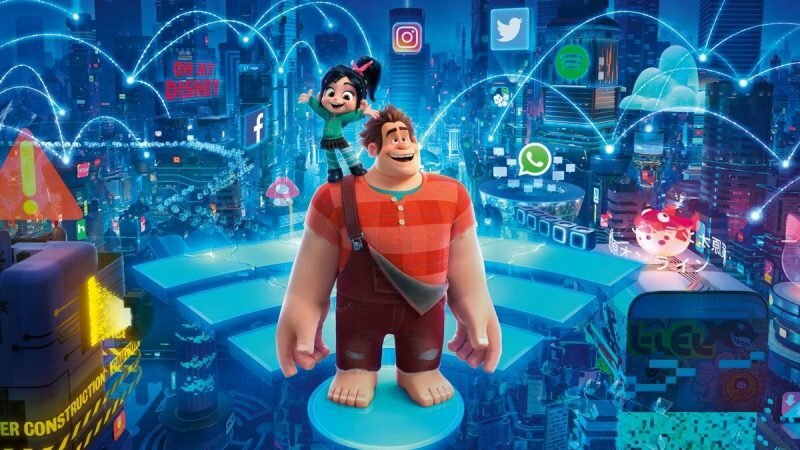 Directed by Rich Moore (Zootopia, Wreck-It Ralph) and Phil Johnston (co-writer Wreck-It Ralph, Cedar Rapids, co-writer Zootopia), and produced by Clark Spencer, Ralph Breaks the Internet is available for digital download on February 12, and DVD/Blu-Ray on February 26.